One winter night Jim Durfee metioned to his son-in-law Ryan Mahar if the idea of building a Maple Sugar house sounded like something they would be interested in doing. A long time interest to both, the proposal sounded great and they have been sugaring the woods of Middletown Springs ever since. 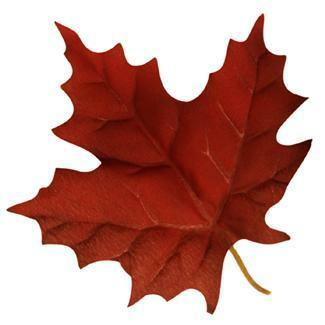 Anyone who has spent any time in and around an active sugary will appreciate the hard work and countless responsibilities that are nessary for successful production of 100% Pure Maple Products. While Jim and Ryan primarily take care of the sugar woods and are responsible for the boiling, the entire family is needed to make the whole process come together. Ryan's son Philip spends hours in the woods every year helping to maintain the sap lines, processing firewood and firing the evaporator when called upon. Philip also is in charge of providing some of the tours to provide an educational experience to our visitors. 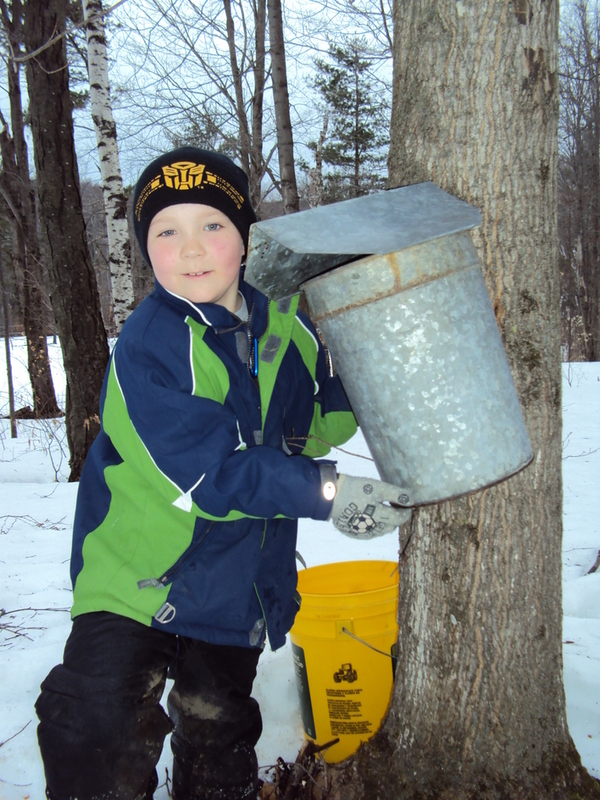 Ryan's daughter Annabelle has also taken an interestest to maple syrup farming. She helps in the collection of sap from the buckets on trees and will be helping in the tours, showing guests how to bring sap from the tree and turn it into maple syrup. Ryan's wife Ann Marie Mahar (Jim's daughter) pretty much holds everything together. She provides endless support to all ​​components of the business. Mahar Maple Farm is also home to a beautiful herd of horses. It is our hope in the future to be able to provide sleigh rides and horse drawn sap collection with our horses as a main attraction to our farm. Ann Marie will be head of this new venture. Marie Durfee has been involved in practically every component of maple syrup production for us since we started. Next to Jim and Ryan, she has the most hours logged into boiling!! She certainly will have a few words of advice for anyone looking to learn a little bit more about the whole process. When not in the sugarhouse, Marie usually is in her kitchen, preparing food for those in the sugarhouse or starting to ​​work on one of countless delicious recipes calling for maple syrup as an ingredient. There are not too many crumbs left behind from a Marie Durfee homebaked good!! Ryan's Mom and Dad (Ann Marie Calvi Mahar and Bob Mahar) make many trips to the farm during the season to help in the process. There is always so much to do. From washing​​ and labeling jugs to grading the syrup. ​​We are all so fortunate and blessed to have such strong family bonds. If it were not for the support from all the brothers and sisters, aunts and uncles, nieces, nephews and cousins, we would not have this strong Vermont tradition living on!!! Thank you all! The Durfee property, off from North Road, is home to Sugarhouse Lane Maple. Here Jim and Marie Durfee built their sugarhouse. The first year was a learning experience for all. Jim and Ryan put up sap lines and started making 'Vermont's Liquid Gold'. Each year a few more taps were added to the sugary and the small hobby continued to grow. In 2012, while boiling sap one Sunday afternoon, Jim and Ryan ​discussed how their 'hobby' was becoming more and more addictive. They both knew in order to further expand, a larger sugarhouse would be needed. In May of that same year, groundbreaking for the new sugarhouse was started. The sugarhouse is now at the Mahar property, on Mountain Road​​, home to Mahar Maple Farm. This much larger, more efficient sugarhouse is state of the art design. With the help of family and friends, the original 'arch' used at Sugarhouse Lane Maple, was moved down to Mountain Road to continue on its life at the new sugarhouse. This sugarhouse has an attached, enclosed wood storage room, separate rooms for sap storage and an isolated canning room where all the maple syrup is packaged. The Durfee property continues to supply the majority of the sap for the sugarhouse. We have signficantly upgraded the sugary ​​in those woods by putting a vacuum system on the sap lines, which allows for more sap to be collected more efficiently. In addition, creating the greatest efficiency in the sugarhouse, is the RO (reverse osmosis) machine. The RO filters out 75% of the water before it goes to the evaporator. ​​This allows us to make your syrup much more efficiently and we burn much less wood doing so! Once canned, the maple syrup is ready for our customers! We sell a lot directly at the farm, but sell more in some of the family members small businessess scattered throughout the state. Ryan's mom carries our product at Wood's Agency in Fair Haven, VT. Ryan's sister, Dr. Emily Mahar-Cannon sells our all natural maple goods at her medical practice in Middlebury, VT-Integrative Medicine, Ann Marie's Uncle and Jim's Brother, Bob Durfee, sells our syrup all the way out in Fairport, NY at his diner- 'Durf's'!!!. Ann Marie's brother Dan Durfee distributes our goods in the Malta/Saratoga, NY region. These are just a few places to find our Vermont Maple Products. The 2016 season looks to be very promising. We look forward to making 'Vermont's liquid gold​​' at great quality and continuing on the family tradition for years to come. Come and visit us any time. Please call ahead to be sure we can welcome you in person! ​Free tours and lessons on making Vermont's 100% Pure MapleSyrup. Free taste testing and fresh syrup always on site at farm stand prices.